Jason Gerbsman is Managing Principal at HUDSON, and the driving force behind their Brokerage Services division. Jason’s creative vision was evident early on in his career, when he worked closely with Two Trees Management in the early 2000’s solidifying deals with Trader Joe’s and Urban Outfitters on the Atlantic Avenue corridor in the Boerum Hill / Cobble Hill section of Brooklyn. With Barney’s Co-op, Lenscrafters, New Balance and The Little Gym shortly following, a Brooklyn Renaissance was born. This forward thinking “outside the box” mentality drives his passion for the business. Jason has leased over 2,000,000 square feet of retail space throughout his real estate career. His Landlord and developer clientele run the gamut from independent owners, to family offices, publicly traded REIT’s and Institutional pension funds. Whether it’s a single tenant NNN development, mixed use property, strip center, downtown CBD, regional center, lifestyle center, power center or enclosed regional mall, a detailed strategy is carefully curated for every assignment. Jason’s Tenant Rep business is specialized in the food, fashion, fitness and hospitality industries – ranging from local relevant “mom & pop” operators, to Michelin Star chef’s, budding hospitality groups, regional / national chains and the like. Jason’s core focus is dealing with relevant brands and thoughtful, exciting projects. He looks to partner with creative and dynamic clients with a common goal of enhancing neighborhoods, projects and developments. Regardless of what side of the deal he is on, Jason entrenches himself in every transaction and remains actively involved in negotiations – all the way through to completion. 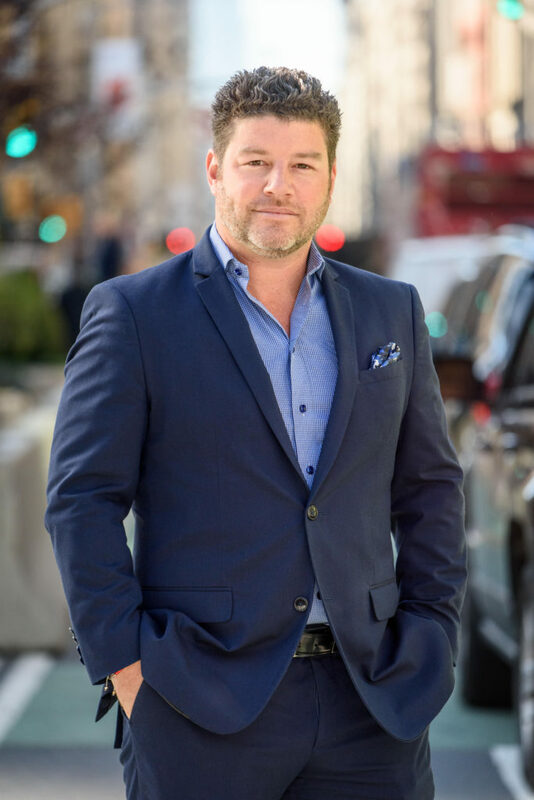 Prior to founding HUDSON, Jason cut his teeth in the business at Welco Realty, where he was charged with spearheading their outer borough retail leasing division. In his previous life, he ran a successful creative, design and printing agency working with some of the largest publishing houses, retail companies and brands on a national and international level. Jason served on the ICSC Next Generation Committee for over 10 years and is actively involved in all aspects of the business. He currently resides in Bergen County NJ with his wife and their two boys.